Lakefront views from Seascape 122! Walk to Whales Tail &amp; the Beach! Your chef will love this kitchen! Expect new friends to come calling! 176 yards to the Beach! Located in the heart of the Tennis Village, Seascape 122 offers a variety of activities for the whole family! With multiple pools on site, and the only heated pool right across from this condo, this makes for the perfect getaway in any season! This ground floor two bedroom, two bath home features a full kitchen with granite counters, stainless steel appliances, lots of parking, a washer/dryer in the hallway, and a double screened in porch overlooking Stewart Lake. With a King bed in the master, and a twin over full over Trundle in the guest room, this condo sleeps 7 comfortably. 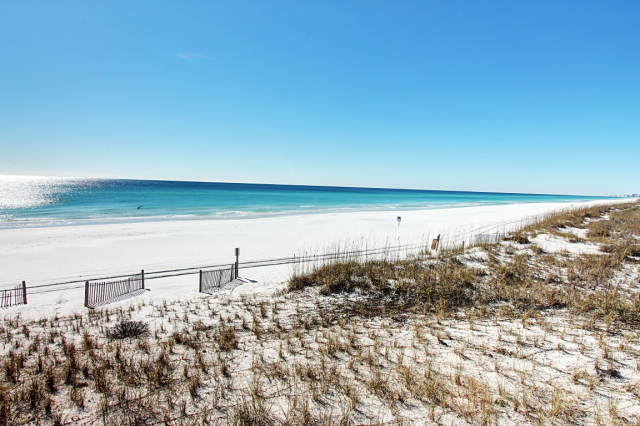 This condo is walking distance to the beach, features multiple pool options, has 2,000 feet of deeded beach access and an 18 hole golf course. 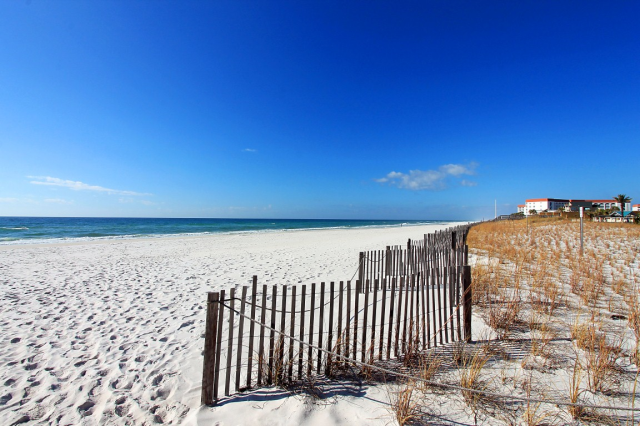 Make your next vacation one to remember at Seascape 122! 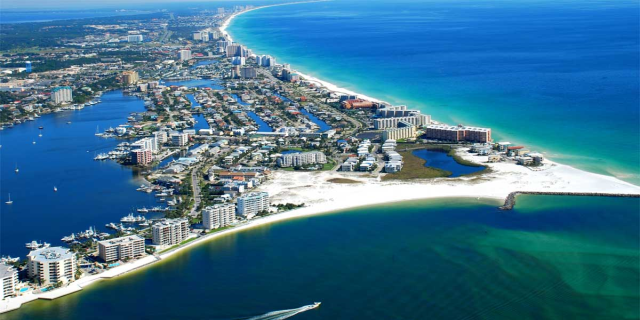 Miramar Beach is the Hub of Activity, from eclectic eateries to colorful shops, you will find many entertainment options! Enjoy the fine Dining, the Art’s & Culture, Ecosploring, sports & adventures and all the water fun!! 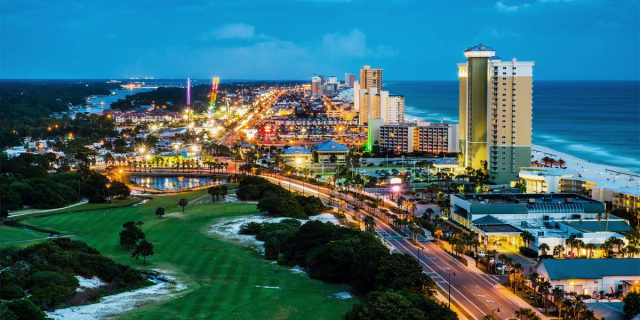 Some of the area’s must try eateries include; the Donut Hole, Bud and Alley’s Pizza Bar, Stinky’s Fish Camp, and Blue Mountain Beach Creamery. In town for a romantic getaway? Stop by the Caliza, Vin’Tij, or La Crema for some live music, beautiful gulf views and first-class service. Shopping options? 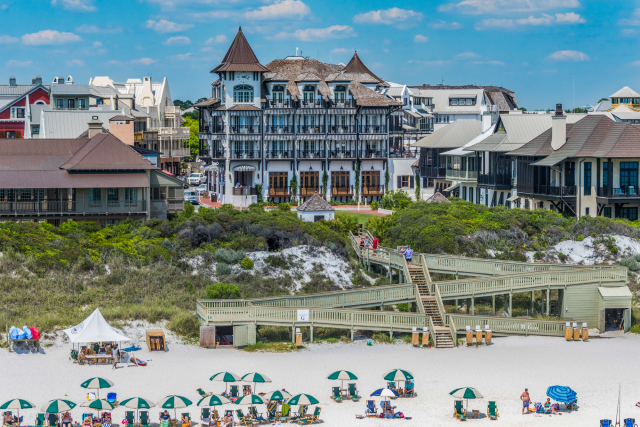 Stop by the Grand Boulevard Town Center which is a pedestrian-friendly, shopping and dining complex just off Emerald Coast Parkway, convenient to both SanDestin and Miramar Beach. For the high-end shopper, the center offers everything from Fusion Art Glass Gallery to Brooks Brothers Country Club. A number of boutiques, such as Hello, Sunshine and Magnolia House, carry fare you can't find anywhere else. Dining options include Mitchell's Fish Market, P. F. Chang's China Bistro, and Cantina Laredo Gourmet Mexican Food. In 2013, Walton County’s first movie theater opened at Grand Boulevard’s Town Center – the state-of-the-art Boulevard 10 Movie Theater. 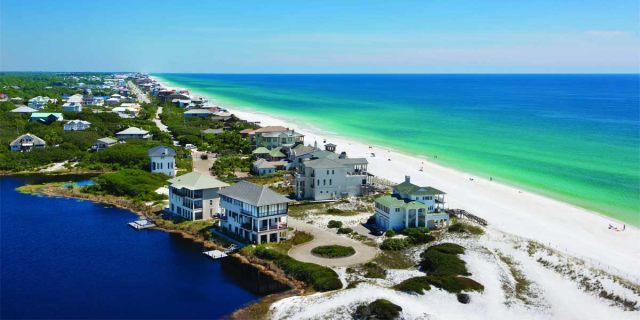 Located in Miramar Beach, Seascape Lakefront Villas are nestled around legendary Stewart Lake in Seascape Resort. These low-rise villas are a short walk to 2000ft of deeded beach access and all feature a screened in porch overlooking the lake. 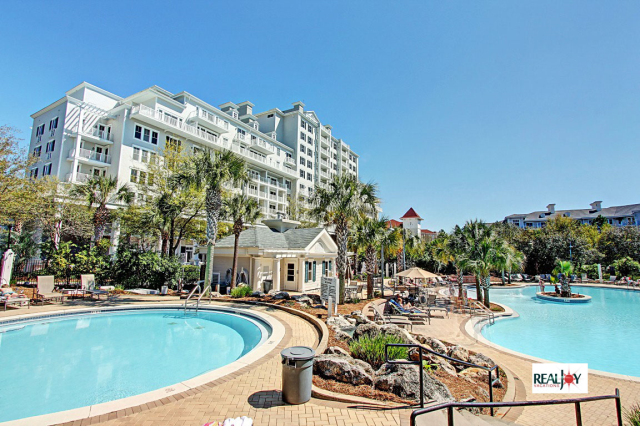 Seascape amenities include 5 pools (1 heated nearby), an 18 hole championship gold course & 8 tennis courts. 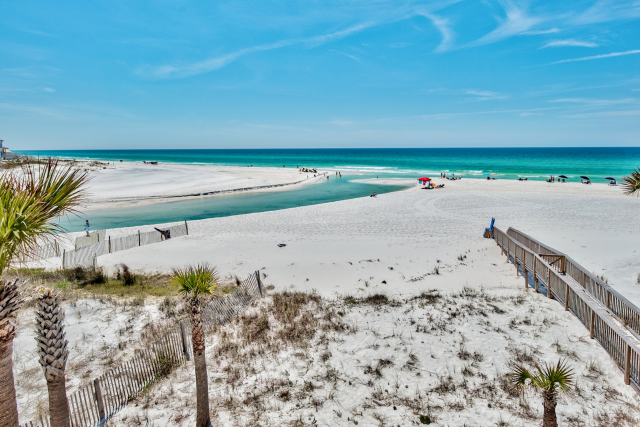 Under 200 yards to Whale's Tail Bar & Grill, 2 miles to Silver Sands Outlets and just 3.8 miles from Grand Boulevard Town Center, Seascape Lakefront Villas is the right place for your next beach vacation! OPEN Apr 21 to 23 $520!